Detection of material failure is a difficult task for engineers, because cracks inside a material block can hardly be identified from the outside. However, early detection can prevent fatal disasters such as the world's deadliest high-speed train accident in 1998 near Eschede, Germany, caused by failure of a metal wheel. It is even more difficult to detect material failure in composite materials. A German research team has now developed a new concept to design so-called self-reporting composite materials. 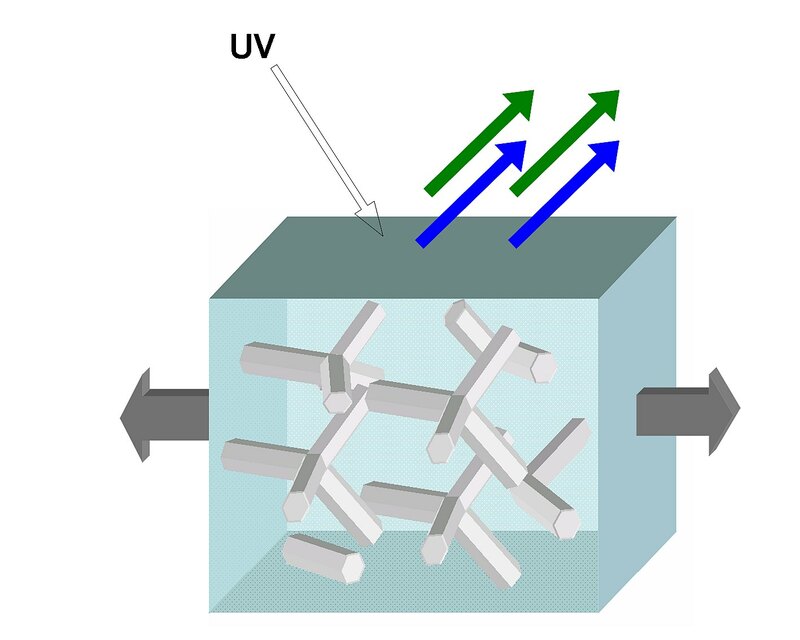 The concept utilizes zinc oxide tetrapod crystals as a filler material for composites which at the same time reveals material failure by a visual signal under UV light. The new concept may solve many engineering problems as numerous fields from vehicle construction to medical engineering are actively seeking new composite materials for high-strain applications. The scientists of Kiel University, University of Erlangen-Nuremberg and Technical University Munich (TUM) have published their results in the current issue of the journal Advanced Materials. “The luminescent features of zinc oxide tetrapod crystals are well established. According to our work hypothesis, these characteristics showed pronounced variations under a mechanical load, and we realised that it could help to detect internal damages of composite materials”, says Dr. Yogendra Mishra of Kiel University’s Technical Faculty. 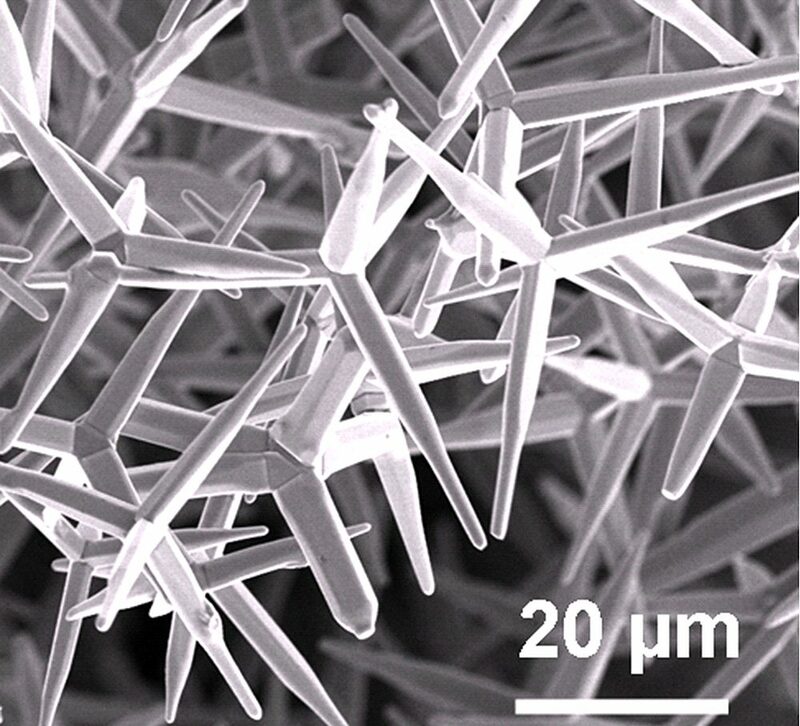 In one experiment, the scientists added zinc oxide tetrapod shaped crystals to a silicone (polydimethylsiloxane) polymer and tested its general properties. They found that the resulting composite material is on the one hand stronger than silicon and on the other hand emits light in different colours when exposed to UV light. When the material is subjected to mechanical stress and ultraviolet light, the intensities of the emitted lights and thus the colour changes. “The micro-nano sized crystals give a visual warning when the composite material is about to fail under stress”, explains PhD student Xin Jin. The alteration of the luminescent characteristics of defined semiconductor microstructures under load – as we could show for zinc oxide tetrapods – might be also interesting for many other phosphor material systems. We expect further developments in this emerging field on ‘self-reporting materials’”, explains Professor Cordt Zollfranck of TUM. The study was funded by the German Research Foundation (DFG) within the Collaborative Research Centers 677 and 855. Caption: Picture of zink oxide tetrapods taken by scanning electron microscope. Copyright/photo: Reproduced with permission (DOI:10.1002/adma.201203849). Copyright 2012, Wiley. 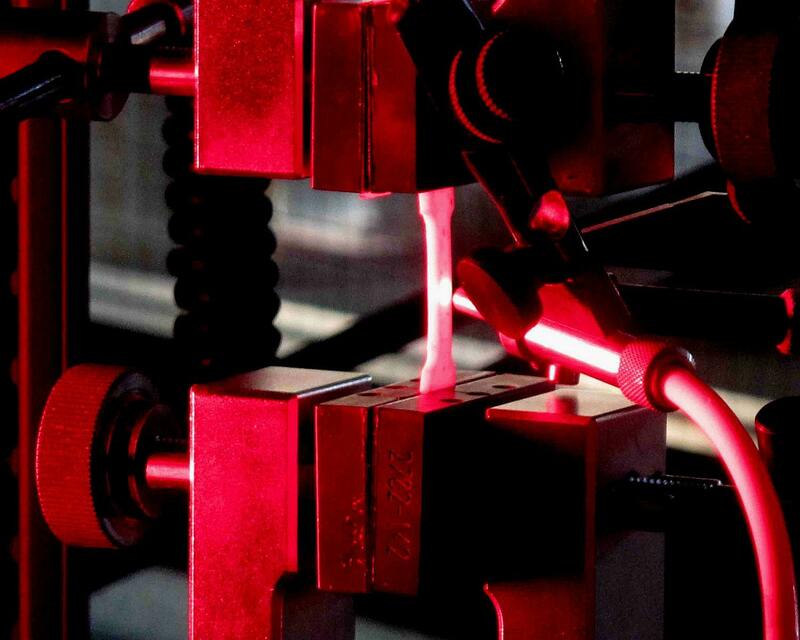 Caption: The experimental setup shows how the composite material was stretched and exposed to light. At the same time, the reflecting light was measured. 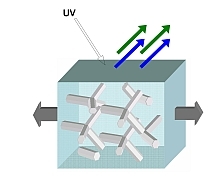 Caption: When the composite is exposed to UV light and to mechanical stress at the same time, the amount of green light reflected by the zink oxide tetrapods changes. Copyright/picture: Reproduced with permission (DOI:10.1002/adma.201203849). Copyright 2012, Wiley.